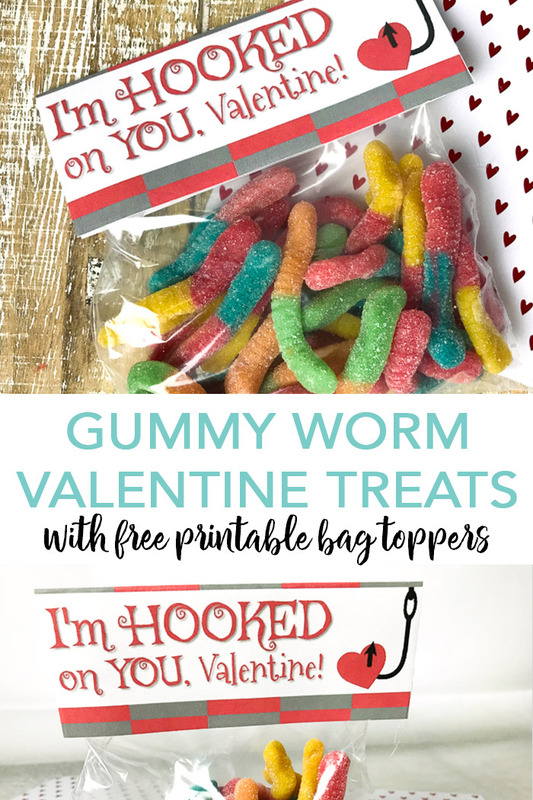 If you are looking for quick and easy Valentine treats, look no further! 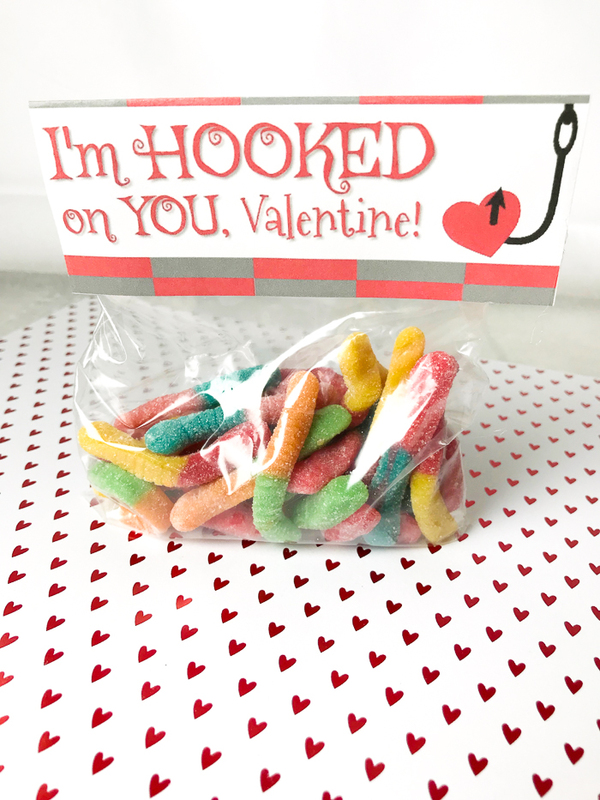 Just grab some gummy worms and our free printable bag toppers. These are perfect to give to a classroom full of kids even if you are on a budget this season. Does your little one love fishing or even worms? Then this is definitely the Valentine idea for them! Download the printable bag topper by clicking here. You can print them on plain paper or even white card stock. I like to use heavier card stock for projects like these to give the toppers some stability. Then cut around the toppers with either scissors or a paper cutter. Add gummy worms to a plastic bag. Fold the bag toppers in half then add to the top of each plastic bag. You can secure with a couple of staples or even some tape. Double sided tape works great here securing to both sides of the bag. 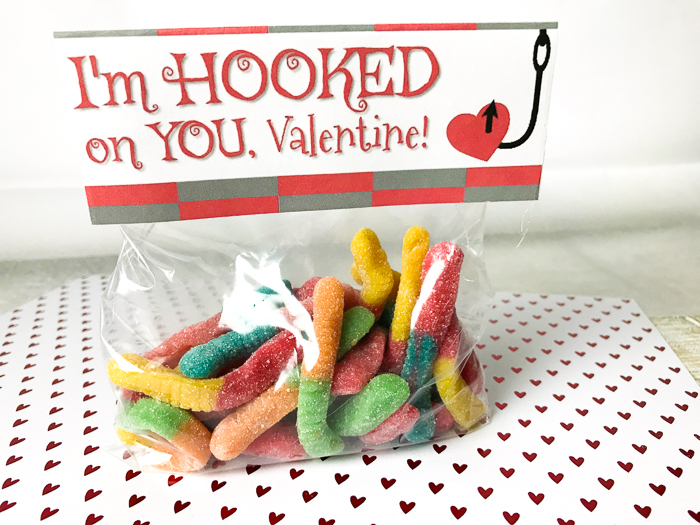 Then just gift your cute Valentine treats to all of the kids in the class or even the neighborhood. You can use any gummy worms that you like inside your bag. We used a sour version but the plain version will work as well. You can add as many or as few to each bag as you would like. If you are making Valentine treats for a bunch of kids, be sure to give this one a try. Valentine treat ideas do not get easier than this! 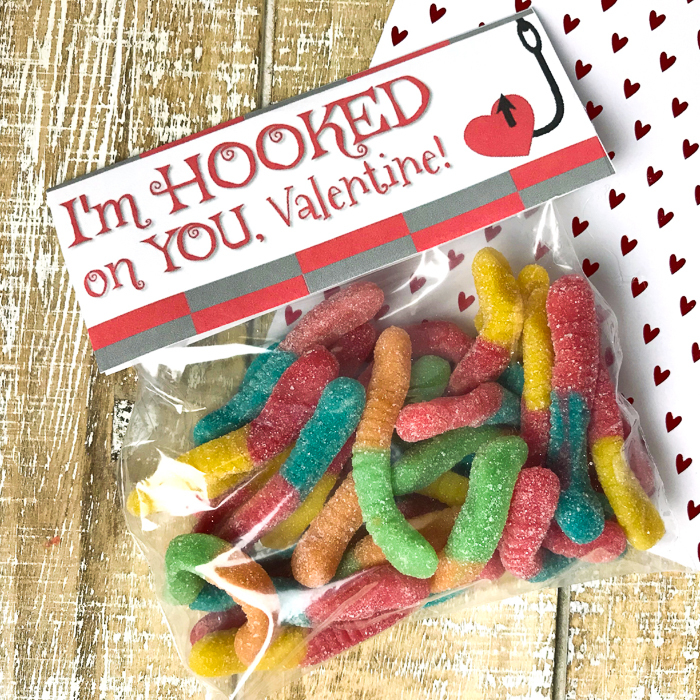 They will be “hooked” on this Valentine as soon as they see it! Love these Valentine treats and want more ideas? Try the links below! previous post: The Best Grilled Cheese Recipe with Bacon!